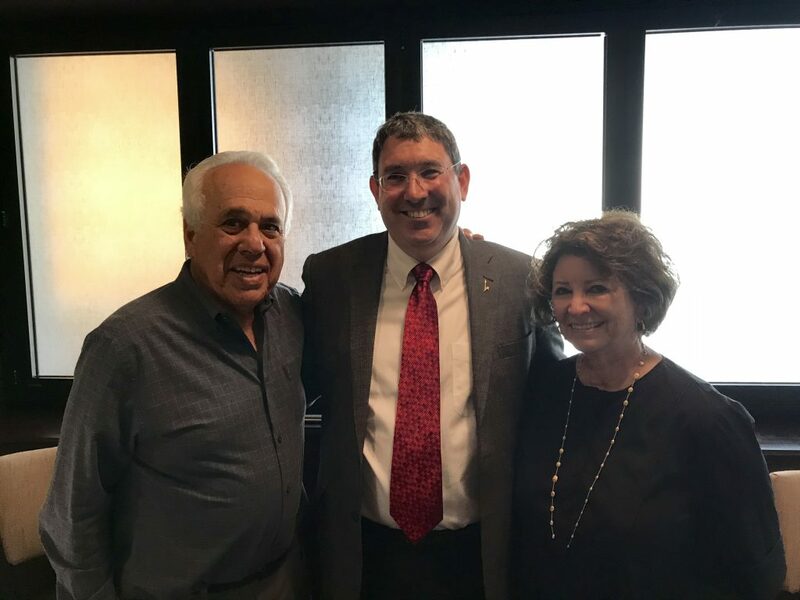 American Friends of the Hebrew University’s Western Region held its inaugural Einstein Visionaries Society Luncheon on Wednesday, July 18th at Napa Valley Grille in Westwood, CA. 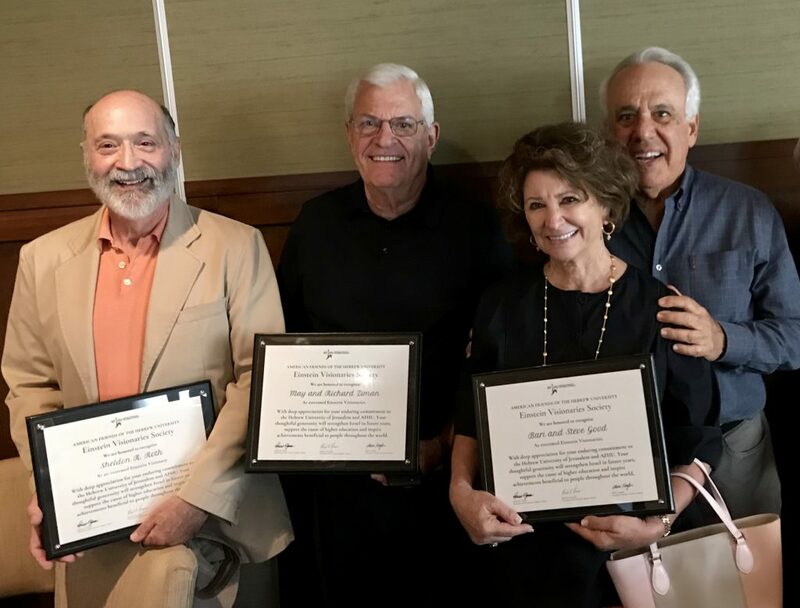 The lunch was graciously hosted by dedicated regional board member Steve Good, and his wife Bari, was a special opportunity to honor and recognize planned giving donors across the Western Region and welcome them into this celebrated group. Thirty-five AFHU regional board members, planned giving donors, and supporters were in attendance to hear from Dr. Aron Troen, Director of HU’s Nutrition and Brain Health Laboratory. Dr. Troen spoke about how food affects the brain and how it can help reduce the risk of Alzheimer’s and other neurodegenerative diseases. Dr. Troen is one of the many brilliant academics from the Hebrew University of Jerusalem and an example of the caliber of talent housed at this premier institution. Western Region Chairman of the Board, Richard Ziman, spoke about the importance of a philanthropic legacy and shared his personal motivation for providing for the future strength of the university. 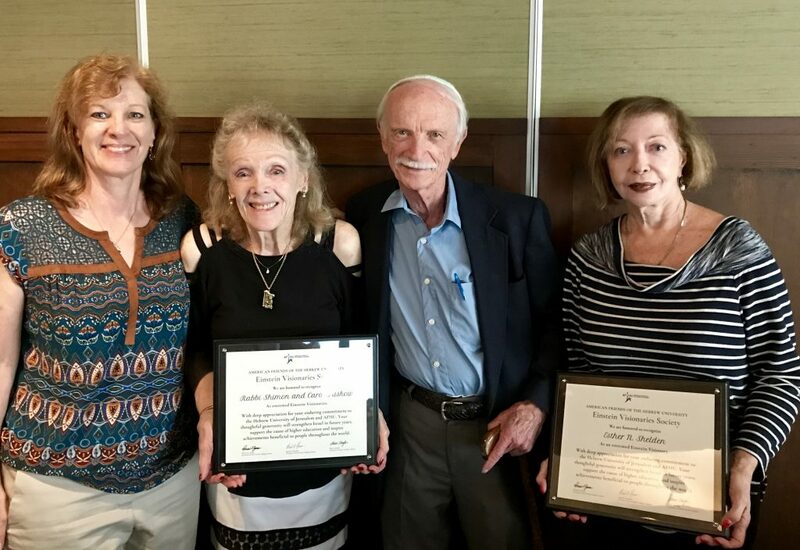 Western Region Vice Chair, Patricia Glaser, shared her passion for the prestigious accomplishments of the Hebrew University and acknowledged the seven planned giving donors in attendance with a framed certificate of recognition on behalf of AFHU. If you are interested in learning more about AFHU’s planned giving opportunities and joining the Einstein Visionaries Society, please contact Leah Kitz, Senior Development Executive at [email protected] or 310.843.3100.